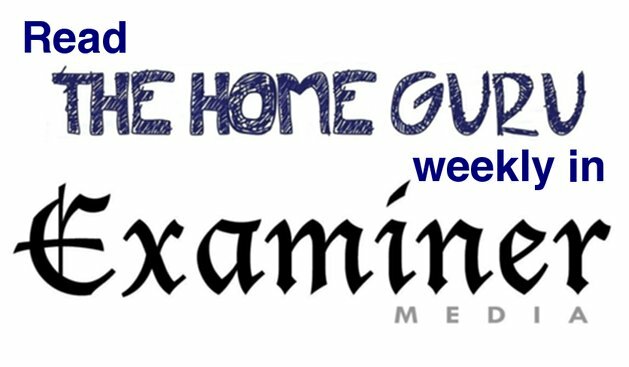 The Home Guru | Wall-to-Wall Is Trending Back! And It’s Grey, Grey, Grey! Wall-to-Wall Is Trending Back! And It’s Grey, Grey, Grey! 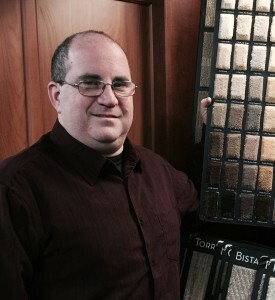 Michael Feldman, owner of Redi-Cut Carpets, the largest carpet and flooring store in Westchester, located in Port Chester. More than 25 years ago, my friend John Carr was the first person I knew who built his own home, and he was the first who taught me that installing hardwood floors cost pretty much the same as installing subflooring and wall-to-wall carpeting. And naturally, I thought, who would ever want carpeting when they could have hardwood flooring at the same price? And it seems that for the past three decades, everyone else has had the same preference, with the addition of an area rug here and there, or so I thought until I visited my seller client at his place of business which happens to be Redi-Cut Carpets, the largest floor surfacing store in Westchester, located in Port Chester, offering wall-to-wall carpeting, hardwood flooring and area rugs. “Yes, actually, wall-to-wall carpeting is very much back,” says Michael Feldman, second generation owner of Redi-Cut, ensconced in 5500 sq. ft of space on Main Street right next store to Tarry Market and Tarry Wine operated by Mario Batali and Joe Bastianich of television fame. After having ripped out all of my wall-to-wall in two rooms, about to be new office space, remembering that I had beautiful hardwood flooring underneath, now suddenly I’m reordering new carpeting because, who knew, it’s back! “Teflon?? You, mean, like the stuff on frying pans?” I ask. “Yes, like on frying pans,” Feldman responds. “Son of a gun, that’s some protection!” I exclaim. It seems that this kind of technology has been available for three years. 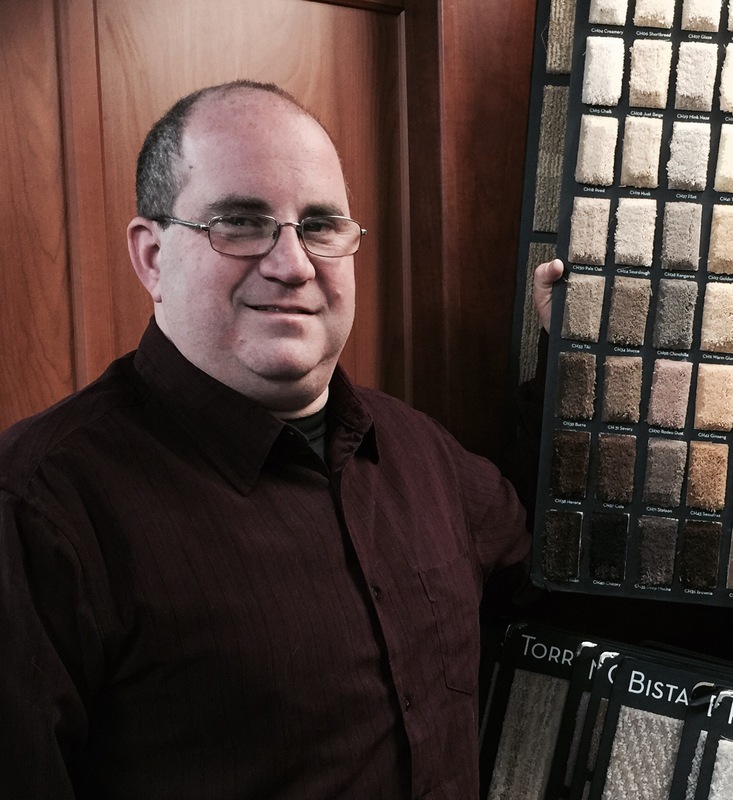 Feldman, who goes every year to a surface flooring convention in Las Vegas to keep abreast with all that’s trending in carpeting, estimates that as much as 70 percent of his market prefers wall-to-wall carpeting over hardwood flooring. That came as a real surprise to me, that the long term trend toward hardwood flooring has suddenly reversed itself. When asked about the choice between wool and artificial fiber, Feldman said that those who seek the more expensive options will go for wool, which is the more luxurious, but is more difficult to keep clean and doesn’t last as long. “Tremendous improvements have been made with nylon, which can look very much like wool, doesn’t stain and is virtually indestructible!” he said, “and yet, look how soft the texture can feel,” he continued, demonstrating with the soft pile from one of his samples. The price range for purchasing wall-to-wall carpeting is as broad as the income range of the marketplace. Feldman’s more upscale clientele might spend $22 a sq. ft. while the average purchaser, i.e., me, would spend from $6 to $ 8 per sq. ft.
Other technology advances include production plants having the capability of customizing carpeting colors to the customers’ specifications to match colors of upholstery or draperies. So, now that I’ve stripped my floors bare to reveal the hardwood beneath, I’ve just ordered wall-to-wall to recover them and, you’ve got it, the color I’ve selected is a subtly patterned blueish grey. If you want to update your wall-to-wall carpeting, the pro to guide you is Michael Feldman of Redi-Cut Flooring who can be reached at: 914-873-0811. 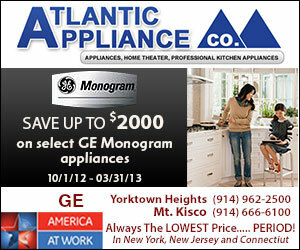 His store is located at 173 N. Main Street in Port Chester. The website is: www.redicutny.com. Bill Primavera is a Realtor® associated with William Raveis Real Estate and Founder of Primavera Public Relations, Inc., the longest running public relations agency in Westchester (www.PrimaveraPR.com), specializing in lifestyles, real estate and development. His real estate site is: www.PrimaveraRealEstate.com and his blog is: www.TheHomeGuru.com. To engage the services of Bill Primavera and his team to market your home for sale, call 914-522-2076.